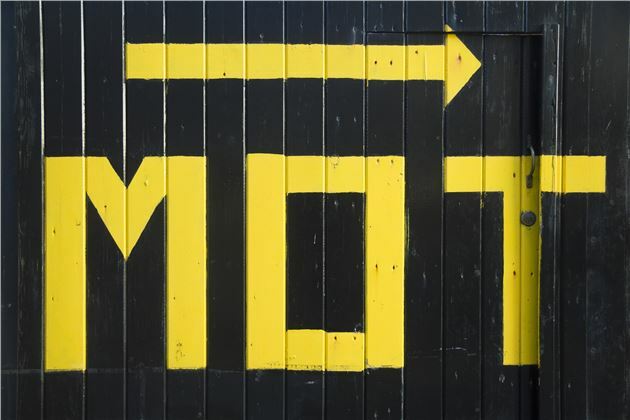 In May 2018, the Driver and Vehicle Standards Agency (DVSA) made changes to the MOT, making it a more stringent and with it, detailed affair. We reported on this, of course. However, May seems like a very long time ago indeed, so it’s well worth brushing up the newly-implemented rules, seeing as 2019 will be the first full year in which they’re enforced. Dangerous – Where there is a failure/safety issue or risk to the environment so severe that the car should not be driven until repairs are made. This is a fail. Major – Issues that present a danger to the vehicle’s safety or to the environment. The car can be driven away for repairs, but that’s it. Again, this is a fail. Minor – Issues that pose no threat to the vehicle’s safety but may still be a potential risk to the environment. This is a pass. Advisory – As before, this is an issue in its infancy, that if ignored is likely to become significantly more severe. This is also a pass. The new standards shouldn’t pose any concern for conscientious owners. This doesn’t strike us as an attack on the car owner, rather a more efficient way of getting neglected and tired vehicles either repaired or off the roads completely. If your car is well maintained and serviced regularly, there shouldn’t be anything to worry about. Finally, the online MoT services are changing, too. For a while now, you have been able to log on to check the MOT history, which makes it impossible for a seller to hide a car’s chequered past. Now though, owners can go one step further by entering details from the V5, which will then allow you to see where exactly the car was tested. As we’ve said, the new rules shouldn’t be a cause for concern unless you’re driving an obviously tired car. These new rules set to ensure we’re all driving cars that are operating as safely – both mechanically and environmentally – as possible, and that’s no bad thing. The only question for the future is whether or not there will be a push to make things even more stringent for diesel cars, given the current trend of moving away from the once popular fuel. Only time will tell. The test itself has obviously become more stringent in order to facilitate those new categories. For example, diesel cars fitted with a diesel particulate filter (DPF) will fail if that unit is either not performing or if it has been tampered with. Also for diesels, cars will receive a Major result in the event of visible smoke from the exhaust. Will my old diesel car fail the emissions test? Is my old Honda Civic 1.7 diesel likely to fail the new emissions test and would it be expensive to correct? If it is trash should I go for a new one to get the benefit of the diesel scheme? My feeling is that you could probably negotiate £2k+ discount anyway. Equally a nearly new one might be a better deal all round. Put some injector cleaner in the fuel, fill up with Superdiesel (not ordinary diesel), then take the car for a good 100 mile run, using 4000rpm occasionally. That will give you your best chance of getting through the MoT smoke opacity test. If it passes on that, yet fails for some other reason, make a judgement on whether to spend the money or not. The expensive quirk of these (Isuzu) engines, shared with the Vauxhall Cavalier, is that the alternator and brake vacuum pump are combined and if that fails it's very expensive to replace. It's also a timing belt engine and there is the possibility that if it has not been changed it could snap during the diesel emission test that requires the engine to be revved to the governor. Yes, you're right that any scrappage discount your could get for the car is unlikely to be more then the discount you could get anyway. When is your road tax due?